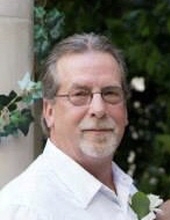 Celebrating the life of Daryl C. Karpuk Sr.
Obituary for Daryl C. Karpuk Sr.
Age 60 of St. Charles passed away on Friday, March 15, 2019 at his home. Funeral services will be held at 11:00 am on Wednesday, March 20, 2019 at the Nelson House Funeral Home-Martin Chapel in Chesaning. The family will receive visitors on Tuesday, March 19, 2019 from 2:00 to 8:00 pm at the funeral home. Daryl was born on December 22, 1958 in Saginaw. He graduated from Chesaning High School in 1977. He was a member of the Iron Workers Local 25. During his life, Daryl especially enjoyed riding his Harley and spending time with his family. his mother, Theresa O'Deay; his brother, Mark Karpuk; his sisters, Kathy (Rick) Righi and Mary Kay Smith (Pete Clinton); and numerous other relatives and friends. Memorial are suggested to the family. To send flowers or a remembrance gift to the family of Daryl C. Karpuk Sr., please visit our Tribute Store. "Email Address" would like to share the life celebration of Daryl C. Karpuk Sr.. Click on the "link" to go to share a favorite memory or leave a condolence message for the family.